From 1990 to 2009, Eugene P. Trani, Ph.D., served as president of Virginia Commonwealth University and president and chair of the board of directors for the VCU Health System (formerly the MCV Hospitals Authority). During Trani’s tenure, VCU’s stature grew both nationally and internationally, particularly among urban research universities with academic medical centers. Anticipating the increasingly vital role universities would assume in the global knowledge-based economy — and in their local communities — in the 21st century, Trani launched a series of nationally recognized initiatives to foster innovation in economic development and community outreach. Throughout his presidency, Trani remained a prolific scholar on a range of subjects, from U.S. foreign policy and the American presidency to community and economic development and the international role of American higher education. He co-wrote “Distorted Mirrors: Americans and Their Relations with Russia and China in the Twentieth Century,” and he developed a manuscript on the role of universities in the global knowledge-based economy. Some of his scholarship has been published in Russian and Chinese, and “Distorted Mirrors” was published in Spanish. 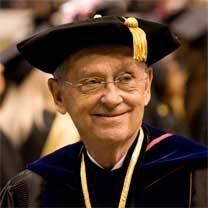 While president at VCU, he was widely recognized as a leader in the community and was the recipient of numerous awards of a local, regional, state and national scope. He also served on numerous corporate, civic and state governing boards and commissions in Richmond and the commonwealth. From 1997 to 1998, he served as chair of the Greater Richmond Chamber of Commerce, and from 2001 to 2004, he served as chair of Richmond Renaissance (now Venture Richmond), the city’s major organization devoted to downtown revitalization. VCU was widely recognized for its exemplary community outreach and economic development efforts under Trani’s leadership. In 2002, VCU was cited as one of two national case studies, along with Columbia University, in "Leveraging Colleges and Universities for Urban Economic Revitalization: An Action Agenda," by CEOs for Cities and the Initiative for a Competitive Inner City. In 2006, the New England Board of Education released a report, "Saviors of Our Cities," in which VCU ranked eighth in a list of the top 25 “Best Neighbor” urban colleges and universities in the country. Trani received a Bachelor of Arts in history, with honors, from the University of Notre Dame. He was awarded a Master of Arts in history and Ph.D. in American history from Indiana University.